The community director at 343 Industries has stated in a Reddit comment that the company is seeking mod support for their upcoming release of the Master Chief Collection to the PC, which was confirmed last week. As stated though, it’s not looking like the collection will be moddable immediately upon release. Jarrard goes on to add that 343’s main priority is getting each of Halo’s game types exactly “right”, as well as a focus on the newly added risks of cheating and hacking that porting that games to the PC could present. That doesn’t mean mods simply won’t happen though as he goes on to promise that the “entire offering will grow and evolve over time.” Still, anyone already drawing up plans to mod their Banshee into a Thomas the Tank engine should simmer down for now. The recent announcement that Halo Reach would be added to the Master Chief collection was exciting news too. When Halo Reach launched back in 2010, it expanded on the Halo sandbox mode Forge, which allowed players to build their own maps and in turn create their own custom game types. An integration of mod support in this scenario could really open up the possibility for a second-wind of creative content in Halo. I know that the Halo classicists among us will be rooting for a form of Ultimate Grifball with a fully modded arena and fully destructible environment, and if mod support was added, I think it could be easily achieved by the community that managed to make expansive maps on a finicky Xbox 360 controller. 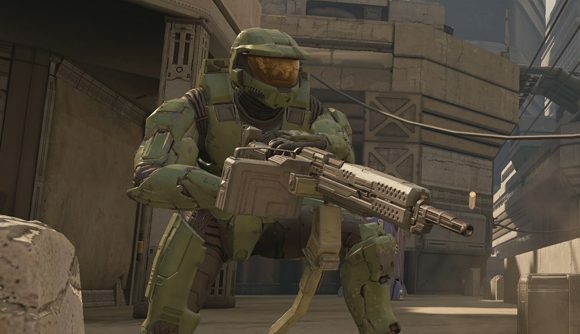 There’s a real excitement among fans about Halo: Master Chief Collection dropping on PC. Though the game has no formal release day, players will be pleased to learn they can sign up for early access testing, if they’re that eager to leap into a set of Spartan armour again.